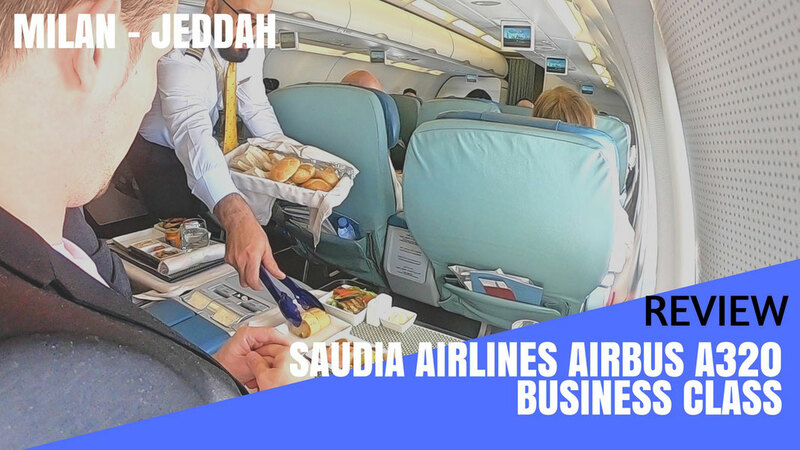 If you don't want to read the review (I know, too many words) you can just lean back and enjoy my video report which gives you a detailed inside of what it's like to travel on Saudia Airlines A320 Business Class. 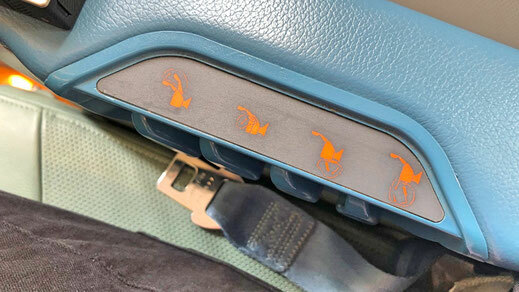 The first thing you notice on Saudia are these many Hajj travellers flying to Saudi Arabia on their pilgrimage. However, none of them was seated in Business Class. The seat is pretty outdated I would say. 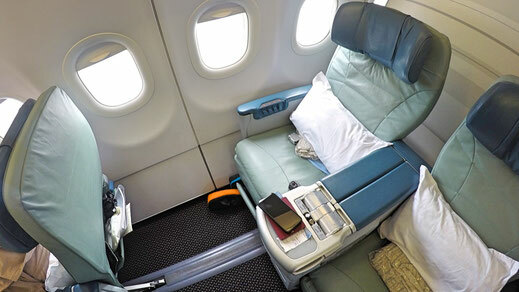 The recline is very limited and the TV is stowed in the middle compartment. There is a total of 20 seats. 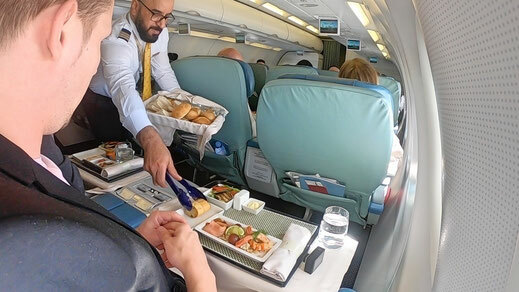 Saudia is a dry airline, which means that no alcohol is served on the flight. The crew was pretty distant though and the female flight attendant would avoid any eye contact with me. 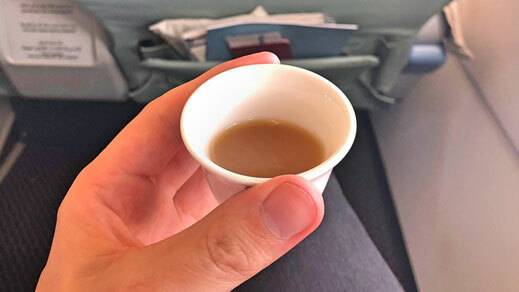 Arabic coffee was offered as well as a non-alcoholic beverage as a welcome drink. 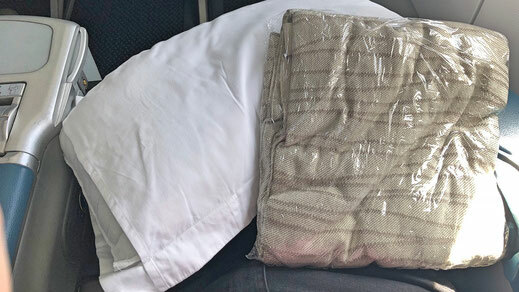 I wasn't given an amenity kit, though all female passenger received one. 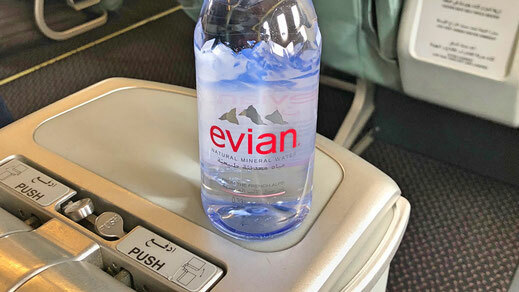 Also a pillow and a blanket were already at your seat together with a bottle of Evian. 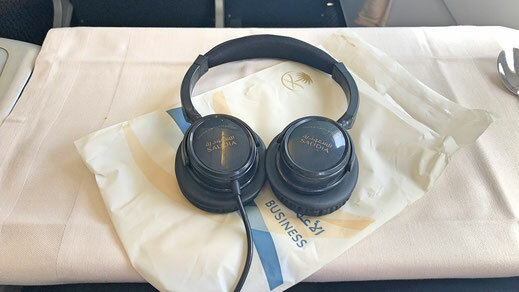 Later the crew distributed noise-cancelling headphones. The crew was also handing out menu's prior take off. Everything seemed to be rushed and very hectic. 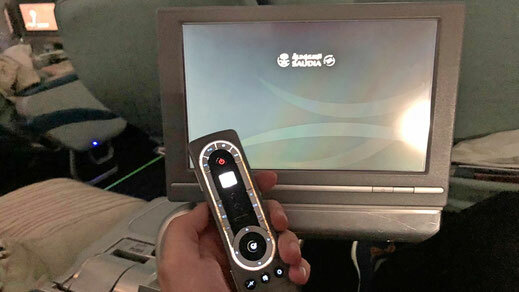 I'd love to tell you about Saudia's inflight entertainment options but it wasn't working. I told the purser but he didn't really care much. My screen on my onward flight was working though and the movie choices weren't too bad. A lot of scenes are censored though. 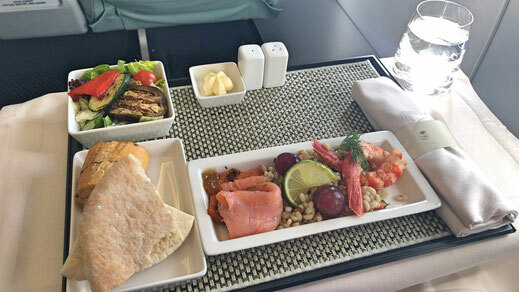 For the starter I could choose between a traditional Arabic Mezze or the Western Appetizer. I went for the Smoked dil Salmon with Steamed Prawns and grilled pumpkin. It was lovely and very fresh. The main course choices were Lamb, Chicken or Fish. I once again went for the Mixed Seafood platter. A combination of stone bass, salmon fillet and grilled prawns with a side of saffron rice. 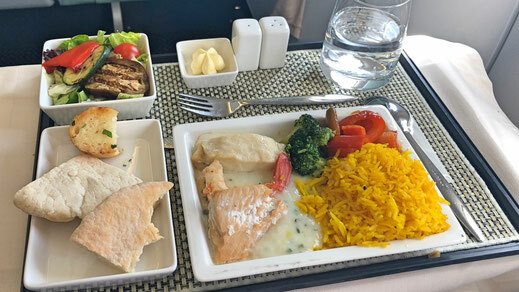 It was delicious and you can tell that Saudia cares about what they serve on their flights. 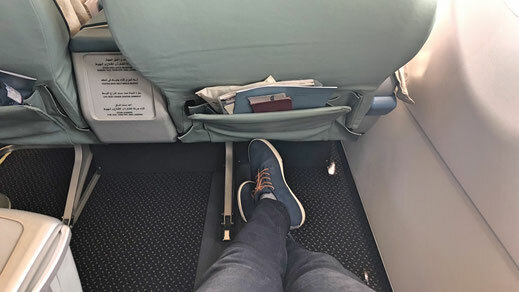 Considering the the price I have paid, it wasn't too bad of a flight, however I wouldn't go out of my way to fly Saudia. The lounge in Jeddah is small and crowded, the rest of the airport is even busier. 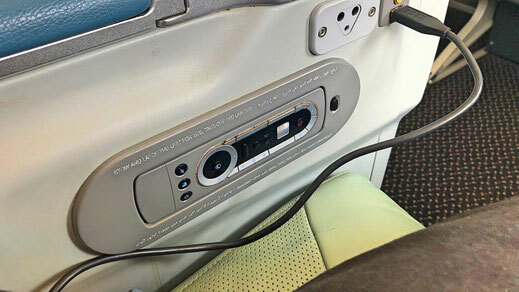 The seat was below average and the entertainment was dysfunctional. 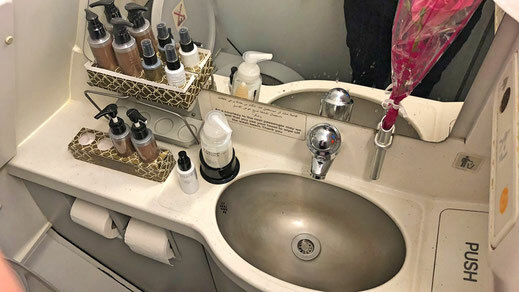 The cleanliness of the cabin was also a bit of a concern. However the food was great and the portion generous. 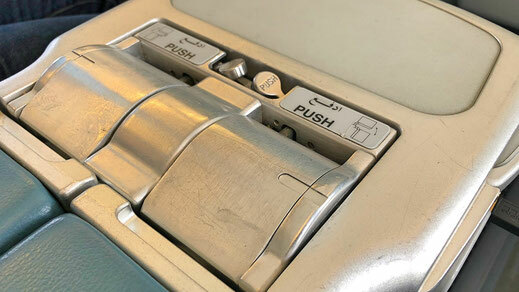 I guess it's an ok airline and they are currently refurbishing their A320's. Looking forward to see their new cabin.